The purpose of the US visit was to attend a training sponsored by the State Department. I was among the 10 participants selected by Internews, a non-profit organisation. When we reached the VoA office, our passports were checked and then we were allowed to get in. Unfortunately, one of our colleagues forgot to bring her passport and she was not allowed to enter. While travelling in the US, one must keep his/her passport as it can be sought by the authorities anytime. One must also keep a water bottle, as one will have to buy it if he/she doesn’t have it. 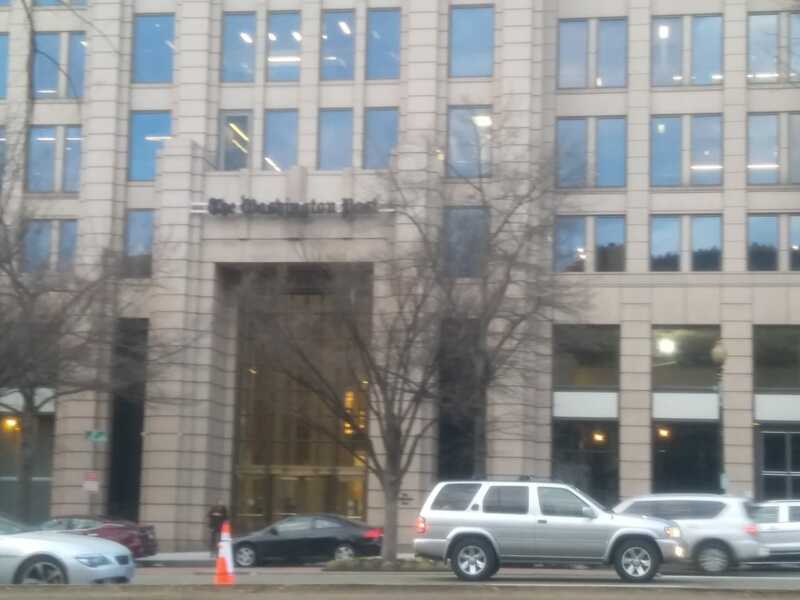 We were free after the VoA meeting, but we preferred to go to the hotel and take some rest as we had to reach for the National Press Club training the next day. We reached there the next morning. One can easily find his location through Google map in the US. After introductory session at the training, we were told about the journalism principles. We were told about techniques to balance the story and essential items of the story. Detailed discussion was held on selection of words for the story. Our trainers held discussions with us in a very friendly manner during the two-day training at the DC. They also gave us full opportunity to express our views. They took interest in problems faced by female journalists in Pakistan and the issues which should be highlighted. After the two-day training, I saw that our women are working very well in challenging circumstances and there is a lot of talent in Pakistani female journalists. Our women journalists have full potential to become the voice of Pakistan. I learned a lot of things during the training. I came to know about online protection, how to verify a news picture or video online, why it is mandatory to select best words for the story, basic ingredients of reporting and how to confirm and publish a news of sensitive nature. The next day, we were free, so some of us went to New York, some went to their relatives and others preferred shopping. I preferred to take rest and take some selfies as the next day we had to set off for another journey – the next stage of the training. We had to travel to New Mexico City, while the other group had to go to Chicago which was sizzling with cold weather. The third group was to go to Seattle. The next day, we set off for our destinations. We reached New Mexico City after changing two flights. At the airport we saw several things which reflected local culture and living style. Outside the airport, the area looked completely different from the DC and rest of America and it seemed as if it is not part of America. The driver told us that it is the economically poor state of America, but it is very rich culturally and the people have kept the old culture and traditions alive. After spending the night at the hotel, we had to reach different destinations in the morning. I had to travel to Native America Calling for a weeklong training. First of all, we were taken to Global Ties ABQ. KWAK produces radio programmes which are broadcast from 70 radio stations of the US. It also has a website which carries its stories and video programmes. I had a mentor, Art Hughes in this organisation, who was working as a producer. Hughes introduced me to everyone and then told me about the functioning of this organisation. He also listened to my views and knew about the problems of female working journalists in Pakistan. We discussed how we can make the most of the weeklong training. This organisation also produces programmes on the problems of the native Americans. There are different tribes of native Americans who live life according to their own specific style and culture. These people wear a distinct dress and they like to make their own decisions. I also spent the next day in the same organisation, but I had to reach there on my own the next day as we were given debit cards to hire cabs. I reached there through a ‘lift’ which is a taxi service like Uber and Careem. Cab drivers in the US don’t accept cash and they deduct dollars from the travellers’ debit card. I was a bit nervous being alone, but I had to reach there in time because I knew that the people in US are very sensitive about punctuality. Unfortunately, in our country, people generally are in the habit of arriving late which is not good. We should learn from the developed countries about the importance of punctuality. Every one of us had to reach there alone which was good to build our self-confidence. It is not very easy to embark on a journey on your own, but things become easier with passage of time when we take a positive initiative.